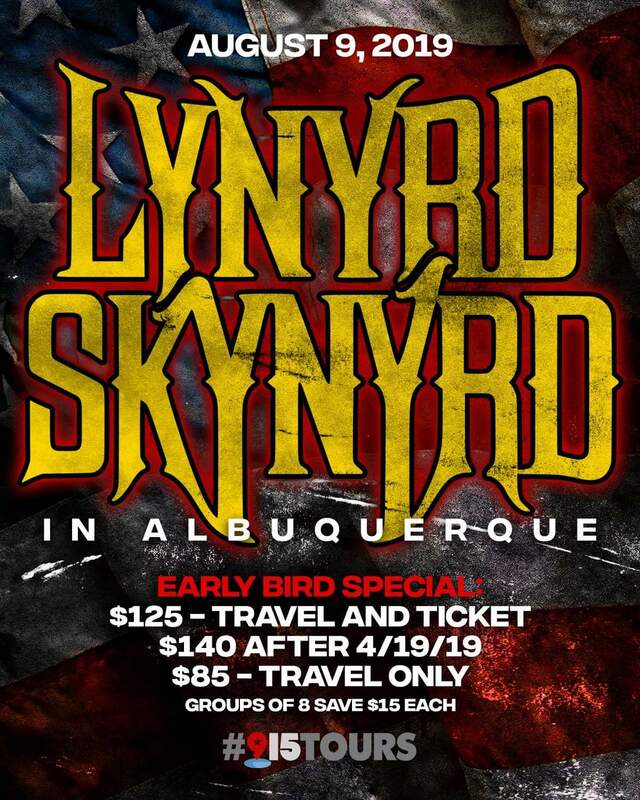 LYNYRD SKYNYRD LIVE IN ALBUQUERQUE, NM – 2019!!! Duration: Noon - Til the party ends! Join us for a one day bus party to see Lynyrd Skynyrd in concert! *Return to El Paso for earliest arrival after concert finishes. Reservations are non refundable, but are transferable to another guest. If trip is cancelled on our behalf, refunds will be given.